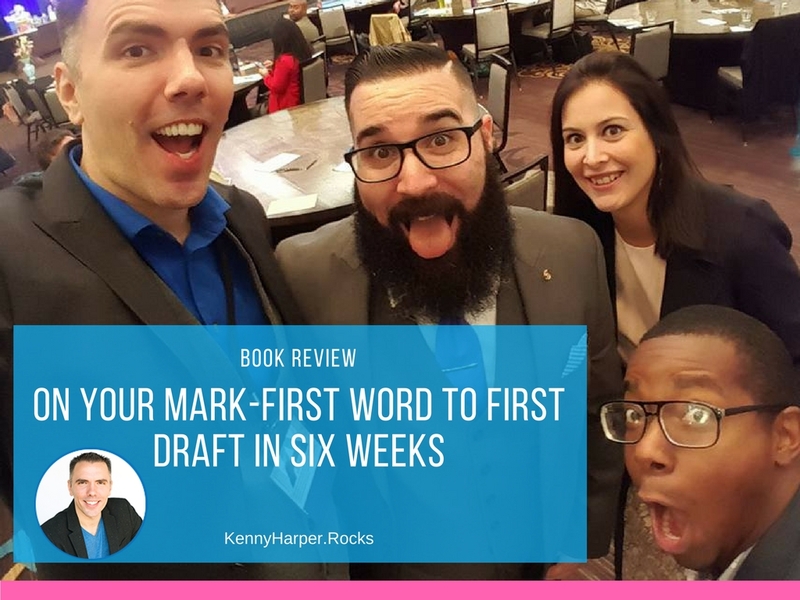 While attending a National Speakers Association conference, I scored a copy of On Your Mark – From First Word to First Draft in Six Weeks by Cathy Fyock and Kevin Williamson. I was delighted to pick up this book at this time because I have a goal to author my second book but needed a guide to get going. My company Rock My Image just released our first book Amplify Your Business in the second quarter of 2015 focused on helping business owners improve their marketing results. It was easy for us to write our book as we were aiming to solve a problem we experienced on a regular basis. Some of the prospects that were looking to hire us as a marketing agency had not done everything on their end in order to help their marketing efforts be as effective as possible. We wrote our book to educate entrepreneurs on actions they could take that would help improve their marketing results and business success. For my individual book, I didn’t know where to begin but now I have a plan following the advice and exercises from “On Your Mark“. On Your Mark is an easy read and a great outline for those looking to write their own book or work through the book writing process. There are great examples and practical exercises to help guide you through the process. It was easy to read and very resourceful. I highly recommend it. It will be the guide I follow to write my next book in 2016. Chapter One – Why do you want to write your book? This is an important step. I’ve heard many people claim they want to write a book but not as many have actually identified the real “Why” behind why they are aiming to do this. When you know the reason why you want to write a book this can help give you fuel to work through the process and it can help ensure you write a book that accomplishes what you’re wanting to accomplish. Chapter Two – So why haven’t you written your book? By identifying the reasons that have prevented you in the past from writing a book you can develop solutions to the things that have held you back previously. It’s important here to be honest and live Above the Line by taking Ownership, Accountability & Responsibility for your actions. Before you put on a great show you must set the stage. This is true for many things including book writing, being prepared will set you up for success. This chapter digs in a bit further from Defining Your Audience to doing a Competitive Analysis, these items are working on your strategy. Very similar in nature to the Amplify Your Business model but focused on writing a book. Chapter five gets into the meat of writing the book and it’s content. Go for it, let it flow, be inspired and creative. You’ll get to come back and edit things later, just let your mind take action and get out your story. After you’ve written the book’s core content you’ll need to refine it many times until it reflects what you’re wanting it to reflect. They recommend to work with a team and hire an editor. Also it is important not to get in a perfectionist mindset, you can’t create anything perfect as it will never be perfect for everybody. Do your best and get your story out there. Start Your Book Project Today! What books on writing or publishing have you found resourceful?